Nowhere is the digital revolution more apparent than in the automotive sector, as traditional players fight to maintain traction in a market becoming overrun by exciting auto-tech players like Tesla, Faraday Future and Google. And it’s not just within the design and build of the cars themselves; in fact, digital tools are entirely reshaping the customer buying and after-sales environments as well. Consider that customers spend an average of 14 hours* researching cars via digital channels – pouring over reviews, videos, comparing prices, viewing the line-ups on dealership and manufacturer websites and even playing around with the different customisations like interior and exterior colours. In fact, research suggests that over 75% of the purchasing journey happens online**, with customers only visiting dealerships an average of 2.2 times*** – often once to test drive, and the second time to collect. These experiences set the tone for the future. Positive experiences can lead to lifelong brand loyalty – towards certain brands of cars, certain models, and even certain dealerships. We’ve identified 9 key pillars - across the entire buyer lifecycle - from which automotive players can build their customer experience strategy, combining and capitalising on some ground-breaking new technology innovations. Let’s start in the showroom. With that average of just 2.2 physical interactions, it’s critical to make them great. With proximity-based solutions, dealerships can digitise the showroom experience, providing rich data about the vehicles on the floor, and augmenting the experience for those browsing. They can initiate relationships that can be continued into the digital realm – through a mobile app for example. Secondly, by establishing a direct digital touchpoint with potential customers, they can easily book mobile appointments – such as requesting test drives, consultations, service appointments and the like. Hopefully customer interest turns to desire, and then to committed action. Dealerships can use Cloud-based systems to accelerate the sales process, integrating with partners from warehouses to financing companies, to ensure a smooth delivery of the vehicle to the customer. The fourth pillar – Smart Workshops – encompasses a range of services, from online and even automated service scheduling, to rapid check-ins using tablet-enabled service consultants, mobile alerts for you to track the servicing progress, and even parts approvals with just a tap of the screen on a mobile app. 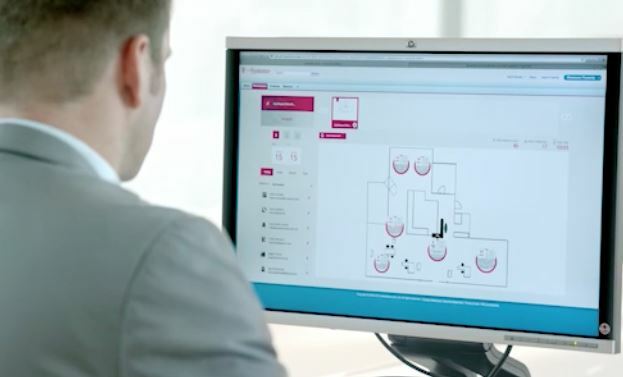 In fact, sCheck is a module created as part of T-Systems broader suite of customer experience management tools for the automotive sector – which wows the customer with a sleek write-up process, involving them closely in the process, allowing them to choose service packages, and more. In our sixth pillar, IPS and GPS technology enables detailed tracking of vehicles, helping to guide customers on how to best maintain their vehicles and ensure safe journeys to their destinations. Next, technology can be used for feedback management, to quickly address customer issues, complaints or other problems, enabling dealerships to benefit from customer feedback. ISO-certified complaints and approval process ensure the best possible experience for users. Continuing with the after-sales theme is the eighth pillar, predictive aftersales, the analytics platforms that collect data about the car’s usage and the customer’s preferences. With this, automotive players can arrive at targeted and compelling offers – to upsell, cross-sell and entice people with specials. The final pillar, 360° View, pulls together data about the vehicle, the financing, the service history and the customer. As the explosion of digital, mobile and social tools completely reshapes the way customers engage with automotive companies, those that keep up with the pace of change are more likely to garner loyalty and market share. Undoubtedly, customer behaviour is changing, as they look to interact quickly and access information across any form of media and device, anytime and anywhere. They’re looking for tailor-made, personalised service, and as little friction as possible. By digitising one’s sales and after-sales processes with the clever application of technology to address these nine pillars, it’s possible to meet and even exceed these demanding customer expectations. Dereshin Pillay is the Head of Manufacturing & Automotive at T-Systems South Africa.